This article is the third in a series investigating the child care system in Mississippi. None of them were from people with any experience in child care. Sears, who has owned Claudia’s Child Care for 30 years, said “words can’t explain” how tough it is to find and keep good caregivers. She found herself tossing out resume after resume for the $8-an-hour job, as she searched for someone with at least a year of experience in center-based child care. A year is more than the state requires, but the bare minimum she will consider. In Mississippi, the minimum qualifications the state sets for child care workers are low — as they are in many states across the country — and pay is often minimum wage. At the same time, child care centers are under pressure to prepare children for school. The combination of a lack of support and increasing expectations puts centers in a difficult bind: How can they build and train a qualified workforce when they get so little help from the system? The average child care worker’s annual salary in Mississippi. Mississippi regulations for child care centers, set by the state’s Department of Health, require caregivers to be at least 18 and have a high school diploma, GED or three years of experience looking after unrelated children under the age of 13. Child care workers must also pass a thorough background check. Centers are required by the health department to conduct their own orientation for new workers, but Mississippi, unlike most other states, does not require formal training before workers start. 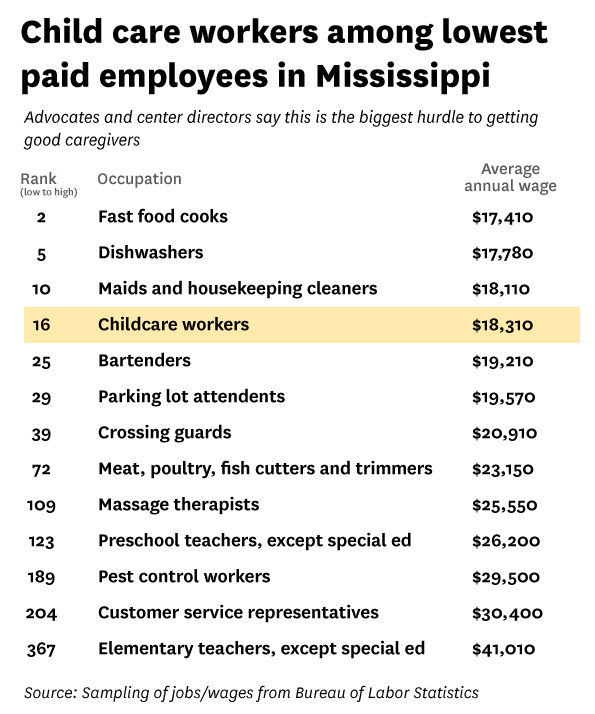 The average child care worker in Mississippi makes $18,310 annually, according to the Bureau of Labor statistics, less than half the state’s median household income. Taking care of several small children with different but constant needs is a demanding job and many caregivers leave after a short while, which too often leads to a revolving door of workers. 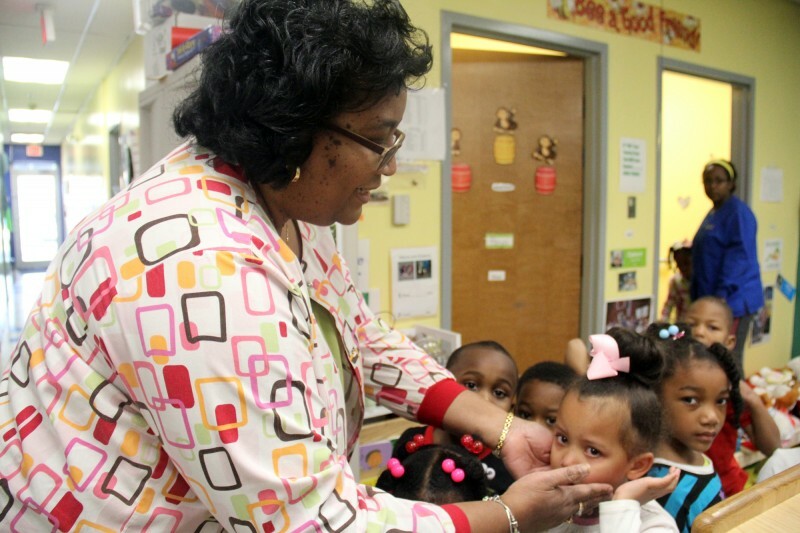 Child care centers in Mississippi are filled with workers who accept low pay because they love children. They strive to keep kids safe and to provide an educational environment. But many employees, even the most well-meaning, lack training on how to provide care that promotes social and academic development. Filling child care positions with qualified people is crucial. Research has shown that early childhood is a critical time for brain development, and when children don’t get the care and stimulation they need as babies and toddlers, the impact can last a lifetime. In the fall of 2014, nearly two-thirds of Mississippi kindergarteners failed to meet state benchmarks of kindergarten readiness. A Hechinger Report and Jackson Clarion-Ledger review of inspection reports and complaint investigations from 393 child care centers in central Mississippi found dozens of allegations that workers violated health department regulations meant to keep children safe. Among the many complaints were charges that staff yelled at children or used corporal punishment and that workers improperly administered first aid. In addition, in visits to 30 centers reporters saw violations like TVs turned on in babies’ rooms and children left unattended. 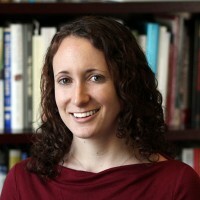 At several centers, reporters saw infants resting in ways that were contrary to American Association of Pediatrics recommendations for best practices to prevent Sudden Infant Death Syndrome (SIDS), such as sleeping on their stomachs, napping with blankets over them or strapped in car seats. Although finding reliable staff is tough, Mississippi center directors interviewed for this article said, with time, they do eventually find trustworthy workers who care about children. Many of these directors added they have no problem firing employees who make an egregious mistake or mistreat a child. The dilemma they face is how to keep their best workers and avoid the frequent turnover that can lead to problems. On a Wednesday morning in June 2014, Jody White, director of McComb’s Weekday Early Education Center sat in her office as a parent accused a worker of grabbing her son’s neck. The worker had been hired five months earlier, with no experience in child care. Her background included 10 months as a vet assistant, two months as a sales associate at an art gallery and one month at an animal shelter where she “took care of the cats,” according to records from the Department of Health’s Division of Child Care Licensure. White, who immediately fired the worker despite being unable to prove, definitively, that the allegation was true, said the biggest hurdle to attracting and maintaining a good staff is pay. “The wages are so low in day care, you cannot keep good personnel,” she said. Mississippi has the cheapest child care in the country; it costs parents an average of $4,822 a year to send an infant to a licensed center, or just over $90 a week, according to Child Care Aware, a Virginia-based nonprofit advocacy group. The average cost, nationally, is $9,909, or more than $190 a week. Most centers can’t raise their prices for fear of losing business. The state’s median income is the lowest in the nation. Child care in the state already takes up 26 percent of a single parent’s income, according to Child Care Aware. For many centers, the problem is compounded by shortcomings in the federally funded Child Care Development Block Grant, which helps low-income parents pay for child care. Through the program, the Mississippi Department of Human Services reimburses child care centers for a portion of a child’s tuition, but state and national experts say the reimbursement rates are not high enough. At most centers, parents must pay the difference between the reimbursement amount and full tuition. But when parents can’t afford their share of the tuition, some directors said they end up giving them discounts, leaving the centers with less to spend on supplies and salaries. Related: What do state records say about your child care center? Reporters asked a dozen center directors about their workers’ salaries. The majority said the starting pay was minimum wage — $7.25 an hour — for staff with no experience. Just four of the centers started workers at $8 an hour. One center gave a 4 percent raise each year. After 10 years a worker would earn roughly $10.75 an hour, or $22,260 a year. Claudia’s, in Pearl, starts employees at $8 an hour, although an applicant with a degree might earn more. Staff receive paid holidays immediately and earn a week of vacation after they’ve been at the center for a year. Sears refuses to count anything short of working in a daycare center as experience. “Just because you have children or you have worked in a church on Sunday morning does not give you the experience to work in child care,” she said. Child care center directors and their designees (who fill in when directors are off the premises) are required by the state to complete three training courses before they start the job, but there’s no initial training required for other child care workers. In contrast, 45 states require all child care workers to take initial training in health and safety and 21 states require training in child development, according to Child Care Aware. Workers have to take a class on SIDS prevention before they can work with infants in 33 states, including Tennessee. In order to receive a two-year license, trainers must have an associate’s or bachelor’s degree coupled with child care experience, or a master’s degree, and must submit letters of recommendation, college transcripts and outlines of their planned courses. Cynthia Minton Walker, a licensed trainer based on the Mississippi coast, focuses her courses on child development, rather than safety. That’s the biggest hole she finds in Mississippi’s child care centers. “What happens, more times than not, is they’re watching those children, giving them good, quiet care, but they’re not aware of what skills need to be used to get kids ready for kindergarten,” she said. For workers coming in with no foundational knowledge, 15 hours “seems ridiculously little to me,” Whitebook said. She added that her husband recently went through an 18-hour training program so that he could read books to children as a volunteer at a local Head Start program. Directors must convince — and often pay — their workers to attend classes after hours or on the weekend or send them to classes during the workday and find someone to fill in during their absence. Although some state agencies, including the Department of Education and Mississippi State University, provide free training, private providers may charge a fee. Walker said she’s charged $10 per person for courses in the past, but any cost at all can still be a burden. “When you’re in a minimum-wage position and you have to pay for 15 hours of training, even if it’s $5 for three hours, it all starts to add up,” she said. 45 states require initial training in health and safety before a worker can start at a child care center. 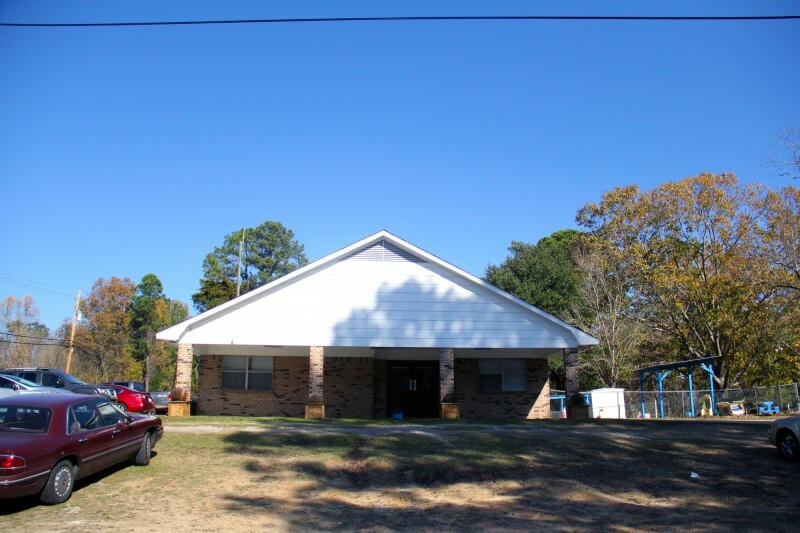 Karen Screws, director of Porter’s Chapel Daycare in Vicksburg, tries to pick courses that line up with the needs of her current crop of kids, or find classes that will be new and interesting to staff. For instance, she’s sent teachers to training on disabilities and on how to teach science. Sherry Middleton, who’s worked at the Porter’s Chapel for 12 years, said that some courses were helpful, but others became repetitive. Classes at a college or university can also count towards this professional development. Mississippi State University offers scholarships to workers who want to get a Child Development Associate credential and to directors who want a National Director credential. The state used to take part in the national T.E.A.C.H. Early Childhood program, a scholarship program run by a nonprofit, that gave scholarships to workers wanting to earn a bachelor’s or associate’s degree in child development and early childhood education. States that use the program must find their own funding, whether it is private or public. In Mississippi, the program was originally paid for by a three-year $466,667 grant from the W.K. Kellogg Foundation. (The Kellogg Foundation is among The Hechinger Report’s many funders.) 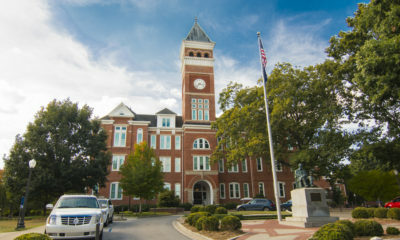 But when the grant ended in June 2015, the state’s Department of Human Services paid $90,000 to let participants finish another two semesters. The program ended in September 2015. “Everybody was disappointed,” said Russell, of T.E.A.C.H. She added that Mississippi had some of the best outcomes in the nation. In fiscal year 2015, 70 child care workers in the state earned 896 credit hours through T.E.A.C.H — an average of 24.5 credit hours each for those working on an associate’s degree and 23 hours for those going for a bachelor’s. In that time period nationally, 16,071 workers received scholarships and averaged 13.4 credit hours for associate’s degrees and 15.6 for bachelor’s. Twenty-three states have a T.E.A.C.H. program and five states use the WAGE$ program, which is also run by Russell’s center. That program supplements child care workers’ salaries after the workers have gone to school to earn a degree. After earning a degree, caregivers receive money every six months — as long as they keep teaching at the same child care center. She credits the program with helping to raise the overall education level of child care employees in North Carolina. In 2001, two years after the WAGE$ program started, 10 percent of the state’s child care workers had an associate’s or bachelor’s degree in early childhood education or child development. By 2015, that number had grown to 36 percent. Chrishana Jefferson, a worker at the Little Blessings from Heaven center in Terry, hasn’t entirely ruled out going to college to get a degree in early childhood, but she’s getting plenty of one-on-one training right now. Little Blessings from Heaven works with Allies for Quality Care, a nonprofit program run by the Jackson-based Center for Education Innovation. The program helps centers improve by providing teachers with physical materials and hands-on coaching to enable them to meet children’s developmental needs — whether it’s exercising a 1-year-old’s muscles or reading a book in the proper way to a classroom of 4-year-olds. The program is one of a handful in Mississippi that gives assistance to centers that want to go beyond Department of Health requirements. Jefferson didn’t know what to expect when, needing a job, she stumbled into child care. She had worked at Newk’s, a chain restaurant, for five years, and at Burgers and Blues for one year before she stopped working altogether when her son was born. Six months later, in November 2014, Jefferson started at Little Blessings from Heaven as an assistant teacher in the 2-year-old classroom. 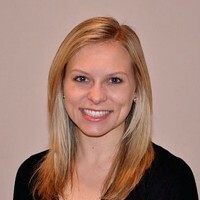 She now teaches in the 3-year-old classroom. Center owner Gwendetta McField calls her a “natural born teacher,” but Jefferson said Allies has helped a lot. “They teach you about better ways to discipline the children,” Jefferson said. “Teach you how to better interact with the kids … be more consistent.” They also taught her how to make lesson plans — a concept that she at first thought was “crazy” for 3-year-olds. Now, she sees the benefits. Each month, the class now focuses on two letters. On a Friday in January, her 3-year-olds were wrapping up a week on M, making monkey puppets out of paper bags. But Allies and similar time-intensive programs are limited in the number of centers they can serve. Directors must know the programs exist and sign up to take advantage of them. As for Sears, back in Pearl, she finally found someone to hire who had child care experience. It took a month. This story was produced by The Hechinger Report, a nonprofit, independent news organization focused on inequality and innovation in education. In the coming weeks, this series will look at how parents afford daycare, unlicensed centers and solutions for Mississippi and other states.